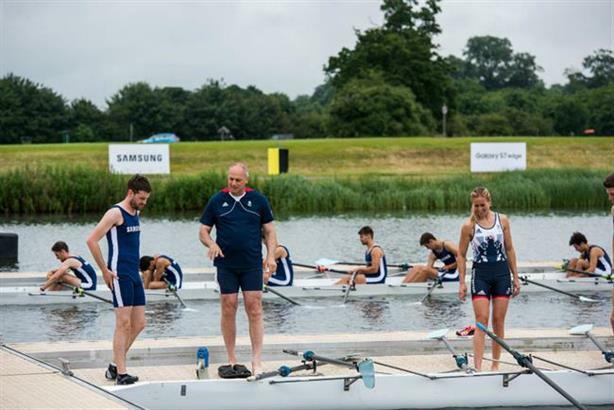 Samsung has kicked off its integrated campaign for the 2016 Olympic and Paralymic Games, reprising its 'School of...' concept starring Jack Whitehall. The original campaign, produced for the Rugby World Cup, saw Whitehall tutored in the basics of rugby by England World Cup winners Martin Johnson and Lawrence Dallaglio. The new version, again created by BBH Sport, sees Whitehall ditching his friends in favour of Olympic and Paralympic stars Bradley Wiggins, Steve Redgrave and swimmer Ellie Simmonds. PR support is being provided by M&C Saatchi Sport & Entertainment, which is Samsung UK's lead agency for sport and entertainment sponsorship and comms. After teasers of the new campaign were released online last week (see below), the campaign launched on TV on Sunday night during the final stage of the Tour de France. There are five films in total for the campaign, which extends across media, retail, digital and social. The films are directed by Gabe Turner, and produced by Rattling Stick. Samsung will also be filming live virtual reality interviews with Team GB athletes in Rio. The brand's chief marketing officer, Russell Taylor, said it wanted to bring fans closer to the Games in a "credible" way. "A central brand belief for Samsung is that meaningful progress comes from daring to defy barriers and this is evident in the initiatives that are running across the globe to support Samsung’s official partnership with the Olympic and Paralympic Games – we are shining a light on athletes around the world who push the limits of what is possible," he said. "We are delighted to have some of the world’s best athletes helping Jack during the campaign." Samsung is both an Olympics and Team GB sponsor. The brand also last week launched its global campaign, 'The anthem', starring six athletes of different nationalities, including Team GB diver Tom Daley.